The aim of this study is the synthesis and characterization of the novel copolymers of poly(isopentenyl PEG-co-allyl PEG) (TPEG-co-APEG) and the investigatation of their influence on the properties of the cement mortar. The performance of the copolymers was compared with the physical blends of TPEG and APEG having the similar TPEG/APEG ratio. In addition, a commercial MPEG type PC was used as a control in the experiments. The FTIR and H-NMR proved that the copolymerization was successfully achieved. GPC enlightened the change of molecular weight of the copolymers. The dispersion, flow retention and the strength of the mortars prepared with copolymers or physical blends were compared. It was found that the strength and the adsorption of the copolymers were better than that of blends, whereas flow retention of the blends were better in comparison to the copolymers. 1-Meddah M.S., Suzuki M., Sato R., “Influence of a combination of expansive and shrinkage-reducing admixture on autogenous deformation and self-stress of silica fume high-performance concrete”, Construction and Building Materials, 25: 239–250, (2011). 2-Piekarczyk B.Ł., “The type of air-entraining and viscosity modifying admixtures and porosity and frost durability of high performance self-compacting concrete”, Construction and Building Materials, 40: 659–671, (2013). 3-Laskar A.I., Talukdar S. “Rheological behavior of high performance concrete with mineral admixtures and their blending”, Construction and Building Materials, 22: 2345–2354, (2008). 4-Hirata T., Cement Dispersant, JP Patent 84, assigned to Nippon Shokubai, (1981). 5-Plank J., Lange A., “Optimization of comb-shaped polycarboxylate cement dispersants to achieve fast-flowing mortar and concrete”, Journal of Applied Polymer, 132: 42529, (2014). 6-Lange A., Hirata T., Plank J., “Influence of the HLB value of polycarboxylate superplasticizers on the flow behavior of mortar and concrete”, Cement and Concrete Research, 60:45-50, (2014). 7-Liu X., Wang Z., Zheng Y., Cui S., Lan M., Li H., Zhu J., Liang X., Preparation, “Characterization and Performances of Powdered Polycarboxylate Superplasticizer with Bulk Polymerization”, Materials, 7: 6169-6183, (2014). 8-Li Y., Yang C., Zhang Y., Zheng J., Guo H., Lu H., “Study on dispersion, adsorption and flow retaining behaviors of cement mortars with TPEG-type polyether kind polycarboxylate superplasticizers”, Construction and Building Materials, 64: 324–332, (2014). 9-Lei L., Plank J., “Synthesis and Properties of a Vinyl Ether-Based Polycarboxylate Superplasticizer for Concrete Possessing Clay Tolerance”, Ind. Eng. Chem. Research, 53:1048-1055, (2014). 10-Habbaba A., Lange A., Plank J., “Synthesis and Performance of a Modified Polycarboxylate Dispersant for Concrete Posssessing Enhanced Cement Compatibility”, Journal of Applied Polymer Science, 129(1): 346-353, (2012). 11-Schröfl Ch., Gruber M., Plank J., “Preferential adsorption of polycarboxylate superplasticizers on cement and silica”, Cement and Concrete Research, 42(11): 1401-1408, (2012). 12-Plank J., Pöllmann K., Zouaoui N., Andres P.R., Schaefer C., “Synthesis and performance of methacrylic ester based polycarboxylate superplasticizers possessing hydroxy terminated poly(ethylene glycol) side chains”, Cement and Concrete Research, 38: 1210-1216, (2008). 13-Plank J., Sachsenhauser B., “Impact of Molecular Structure on Zeta Potential and Adsorbed Conformation of α-Allyl-ω-Methoxypolyethylene Glycol-Maleic Anhydride Superplasticizers”, Journal of Advanced Concrete Technology, 2: 233-239, (2006). 14-Janowska-Renkas E., “The effect of superplasticizers’ chemical structure on their efficiency in cement pastes”, Construction and Building Materials, 38: 1204–1210, (2013). 15-Lei L., Plank J., “A concept for a polycarboxylate superplasticizer possessing enhanced clay tolerance”, Cement and Concrete Research, 42: 1299–1306, (2012). 16-Hirsch C., Plank J., “Impact of zeta potential of early cement hydration phases on superplasticizer adsorption”, Cement and Concrete Research, 37: 537-542, (2007). 17-Xiuxing M.A., “Synthesis of New polyether polycarboxylate superplasticizer”, Journal of Wuhan University of Technology-Mater Science, 799-803, (2010). 18-Kong F., Pan L., Wang C., Zhang D., Xu N., “Effects of polycarboxylate superplasticizers with different molecular structure on the hydration behavior of cement paste”, Construction and Building Materials, 105: 545–553, (2016). 19-Plank J., Keller H., “Mineralisation of CaCO3 in the presence of polycarboxylate comb polymers”, Cement and concrete research, 54: 1-11, (2011). 20-Plank J., Schröfl Ch., Gruber M., Lesti M., Sieber R., “Effectiveness of polycarboxylate superplasticizers in ultra-high strength concrete: the importance of PCE compatibility with silica füme”, Journal of Advanced Concrete Technology, 7: 5-12, (2009). 21-Rashkov I., Manolova N., Li S.M., Espartero J.L., Vert M., “Synthesis, characterization, and hydrolytic degradation of PLA/PEO/PLA triblock copolymers with short Poly(l-lactic acid) chains”, Macromolecules, 29: 50-56, (1996). 22-Arıcan M.O., Mert O., “Synthesis and properties of novel diisopropyl-functionalized Polyglycolide-PEG copolymers”, RSC Advances, 5: 71519–71528, (2015). 23-Donnet M., Aimable A., Lemaître J., Bowen P., “Contribution of aggregation to the growth mechanism of seeded calcium carbonate precipitation in the presence of polyacrylic acid”, J. Phys. Chem. B., 114: 12058–12067, (2010). 24-Felekoglu B., Sarıkahya H., “Effect of chemical structure of polycarboxylatebased superplasticizers on workability retention of self-compacting concrete”, Concrete Constr. Build. Mateials, 22: 1972–80, (2008). 25-Li C., Feng N., Li Y., Chen R., “Effects of poyethylene oxide chains on the performance pf polycarboxylate-type water-reducers”, Cement and concrete research, 35: 867-873, (2005). ISNAD OZKOC, Guralp . "Synthesis and characterization of novel copolymers of poly(isopentenyl PEG-co-allyl PEG), their performance in cement mortar and comparison with physical blends". 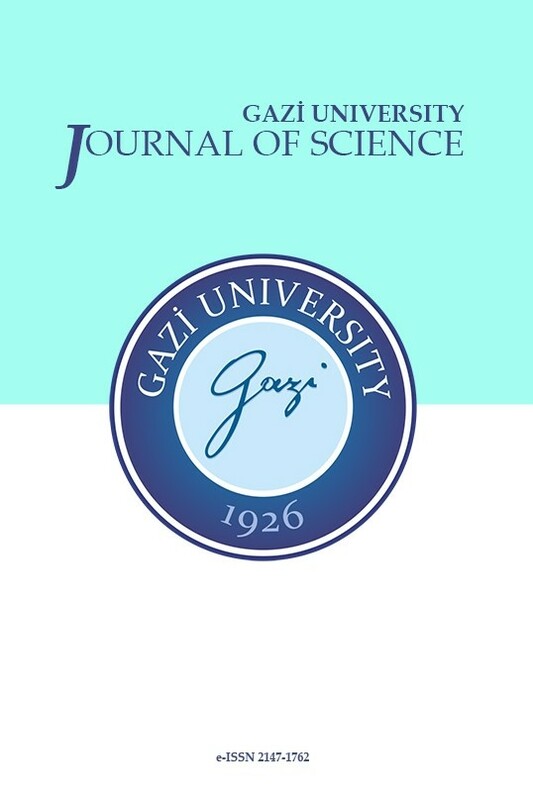 GAZI UNIVERSITY JOURNAL OF SCIENCE 31 / 3 (September 2018): 759-773.